Carlin & Ward, P.C., is an accomplished law firm focused on eminent domain, commercial litigation and select other complex practice areas. We maintain offices in New York City as well as Florham Park, New Jersey. Attorneys at our focused yet versatile boutique firm bring together many decades of experience defending the financial interests and property rights of our clients. We have earned game-changing results for private landowners, Fortune 100 companies and others dealing with the prospect of high-stakes litigation in New Jersey or New York. Since attorneys John J. Carlin, Jr., and William J. Ward established our firm in 2002, our impeccably credentialed, client-focused legal team has rewarded our clients' trust with numerous multimillion-dollar settlements and judgments. These favorable outcomes and groundbreaking legal advances stand on their own merit. However, we continually upgrade our technology resources in order to provide levels of focus and attentiveness beyond those available from significantly larger firms with comparable track records. James M. Turteltaub and Scott A. Heiart are also partners at Carlin & Ward, P.C. Leveraging invaluable experience in government service as well as private practice and business, our lawyers are equipped to address the most complex matters of condemnation and land development, contract disputes, real estate tax appeals, employment law, securities litigation and more. The legal team you hire must be a trustworthy resource for in-depth knowledge, straight talk and dedicated attention to your unique objectives and concerns. You should know you can count on rigorous attention to detail and relentless defense of your interests in full view of your bottom line. 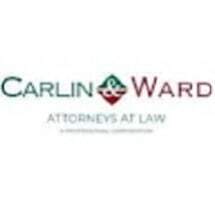 We invite you to contact us at Carlin & Ward, P.C., to discuss precisely what you have on the line and what we can accomplish for you in New York or New Jersey.